Have you heard of this new thing called juicing? It has started to become more popular thanks to a coverage from health magazines and word of mouth. But, like any other new popular product to hit the shelves, there is always some confusion on how to select the best product for your needs. No one likes getting taken advantage of, so to stop that from happening to you, here are some tips and information for you to make the right choice in the choosing the perfect juicer for you. People who juice have their own ideas about why they do it. Some use it for health benefits while others just like a nice glass of fresh juice every morning. But what most do not know is that they can effectively save themselves money in the process. Knowing the difference between a centrifuge juicer and a masticating juicer will help you make the right decision when finally making your purchase. Some people will be looking for a cheap way to get started juicing, while others will be veterans in the game looking for an upgrade. In both situations, knowing exactly what you’re looking for in a product will always lead to greater satisfaction in the end. The centrifuge juicer is the better start up option for those looking to get their feet wet in juicing. These juicers can be easily identified because they have the traditional look that most people are familiar with when thinking of juicers. These juicers work by having a strainer inside that spins at a high rpm while the fruit or vegetable is pushed through ejecting juice and pulp in separate containers. These machines are much faster and much more affordable than the other types of machines; but everything has a price. These machines often create less juice and are not very useful against the leafy green vegetables. Because of the heat they can produce with the strainer being set at high rpms, the juice will lose some of it’s nutrients if it is not consumed right away. The masticating juicer is an option for more experienced juicers. These machines spin and chew the fruits or vegetables to extract a much higher quality of juice but at the expense of time and your pocketbook. They work much slower than your average centrifuge juicer, but work much better on leafy green vegetables and can also be used to create tasty treats like sorbet or wheat grass. Another tip that the more experienced juicer will care about is that the juice these machines create will last longer than its counterpart. But for those who are already deep in the game of juicing, the masticating juicer is a better choice because of quality and the ability to juice more of the leafy green vegetables. Generally, masticating juicers are easier to clean and are quieter when in operation. Other than the two discussed above there are two other types of juicers you should know about. The triturating juicer (or twin gear) is another lesser-known choice to consider. These machines have two separate processes when making your juice. First, they crush the fruits or vegetables together before pressing them like a big squeeze; so much more of the vitamins and minerals you’ll be looking for will be in your juice. 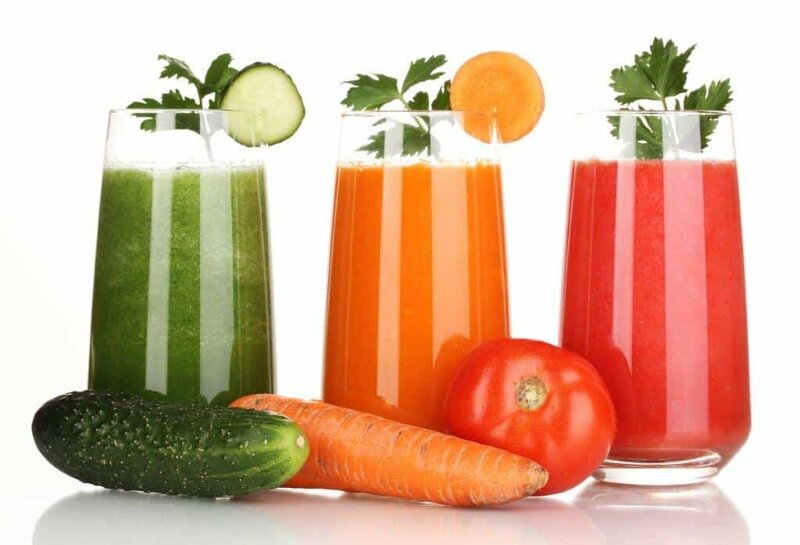 The triturating juicer creates the highest quality of juice but the price, clean up time, and juicing process are some real considerations to make before purchasing one. The citrus juicer is probably the kind of juicer your grandparents would have used. They are fast, cheap, and old fashioned, but they might let you down. You must remember that a citrus juicer works best on citrus fruits only. That’s it. These juicers and designed for all your favorite citrus fruits but leave out the important vegetables. Since these types of juicers have been around longer, they come in a larger variety than most others, and a cheaper price tag too. Just remember that a cheap juicer cannot be good, and a good juicer will not be cheap. You could also consider juicing blenders. Each juicer has it’s own benefits, but the key to making an informed decision is to figure out how to choose which best benefits you. For speed and easier clean up, the centrifuge juicer is the best option but some people do not like the waste it can produce. Since the fruits or vegetables are pushed into the spinning strainer, the waste it produces can build up. Depending on how much juice you are looking to make, the waste container can fill up very quickly if not paying attention. But for the price and new ambition to a healthier lifestyle, the centrifuge cannot be beat. For a high quality juice the best choice is the masticating juicer. More vitamins and nutrients are just what the more experienced juicers needs when wanting to upgrade from a centrifuge machine. The time and money should not be a problem if already juicing on a regular basis but situations may arise when you do not have time to wait for your juice. Since you get more juice from your fruits and vegetables and less waste, most people would run to this option but cleaning up can be more of a shock than one expects, just like when looking at the price tag. Myth: Centrifugal juicers produce poor quality juice with no enzymes. For the highest quality of juice and much more vegetable friendly, the triturating juicer is the best. A longer juicing process does not scare off the consumer who is looking to get the most out of his/her juice but the cleaning nightmare needs to be considered. Twin gear is a fancy way of saying you’ll be doing twice the cleaning. More parts that need to be cleaned means more time separating everything and remembering what goes where. For simple, fresh, citrus juice the citrus juicer is your choice. With a nice glass of orange juice in the morning, easy clean up and an even easier price tag to agree with, it’s hard to say no. Equipped with this knowledge you can now make your own juices, whether you are looking for cleansing juices or you want to throw a juice party!